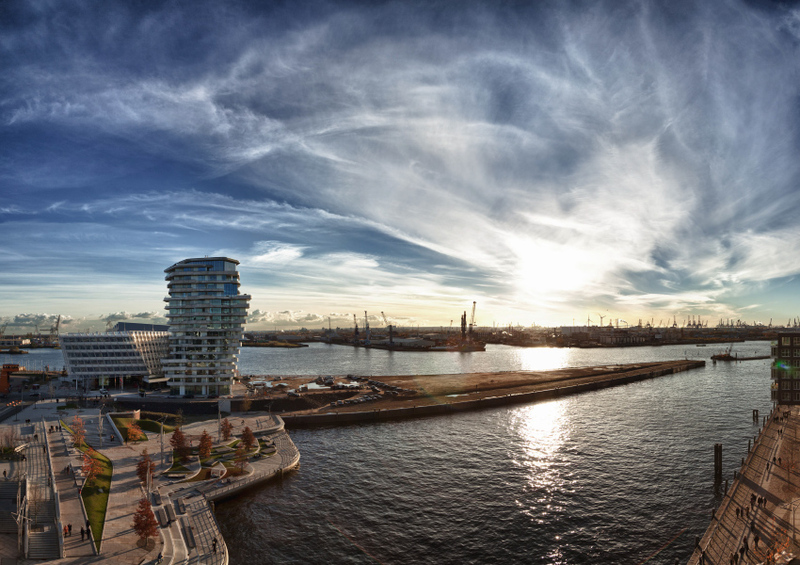 Hamburg, the second biggest city in Germany and the third largest European port has many attributes. It is called “the German Gateway to the World”, “a thriving centre of industry and business” or “the green city on the River Elbe”. But can a big city like Hamburg with 1.8 million inhabitants within the city and 4.3 million in the metropolitan region also be sustainable and fit for the future? The European Union considered the city to be on the right track by awarding it the “European Green Capital” title in 2011. 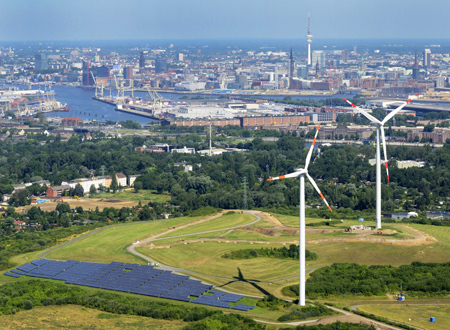 In its statement, the jury stated the reasons behind the decision: “Hamburg has shown major achievements in the past years and has also attained excellent environmental standards across the board.” It was stressed that the city has set very ambitious future plans regarding its further development. One aspect that particularly impressed the jury was the binding climate goals set by the city and its integrated and participative planning strategy. With the slogan “building the city anew” the International Building Exhibition Hamburg (Internationale Bauausstellung IBA Hamburg) in 3 southern districts of Hamburg focuses on the advancements of already existing urban areas. Entailing constructual, social and cultural projects it addresses how metropolises of tomorrow can cope with challenges of globalisation, polarisation and climate change. 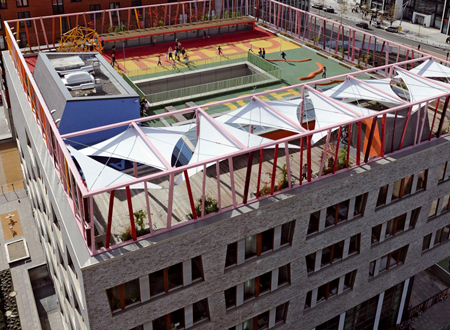 The set of measures ranges from single architectural interventions to entire neighbourhood developments and is supported by political, cultural and social programmes. 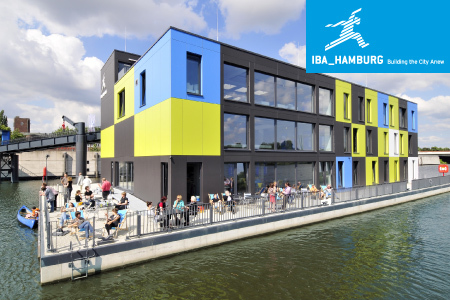 After seven years of progress, built practice and a wealth of gained experiences, the IBA Hamburg is entering its presentation year in 2013. With its overall area of 157 hectars and planned new building of ca. 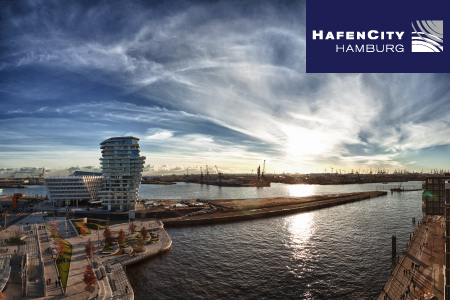 2.32 million sqm HafenCity Hamburg is the largest urban development project currently being implemented in Europe. 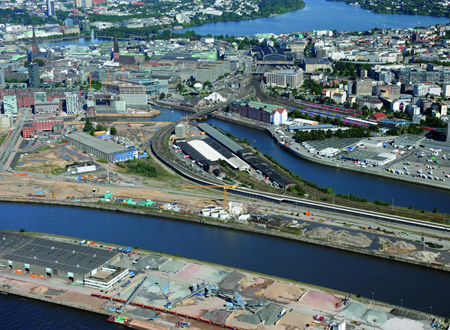 Since 2003 the mixed use inner-city district is emerging from former habour-land, offering a clear chance for sustainable urban developloment. High quality standards have been set on aspects such as ecofriendly construction, barrier-free mobility, efficient energy generation and use of resources, high quality open spaces and effective flood protection. When completely developed around 2025, it will be home to some 12,000 inhabitants in approximately 6,000 residential units and offer workplaces for about 45,000 people. For the time being a substaintional part of the masterplan’s construction volume has been put into practice and can be visited. how the “inner-urban periphery”, including the zones of infrastructure and industry can evolve into quality-oriented urban areas. * As the details of the tours are still being finalised, changes are possible at short notice. 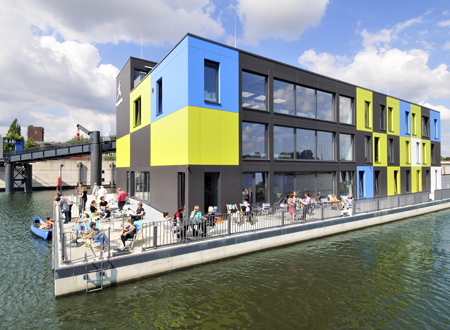 Climatically neutral and innovative: the floating IBA DOCK with its “IBA at Work” exhibition provides an overview of the IBA Hamburg’s aims, activities and results. 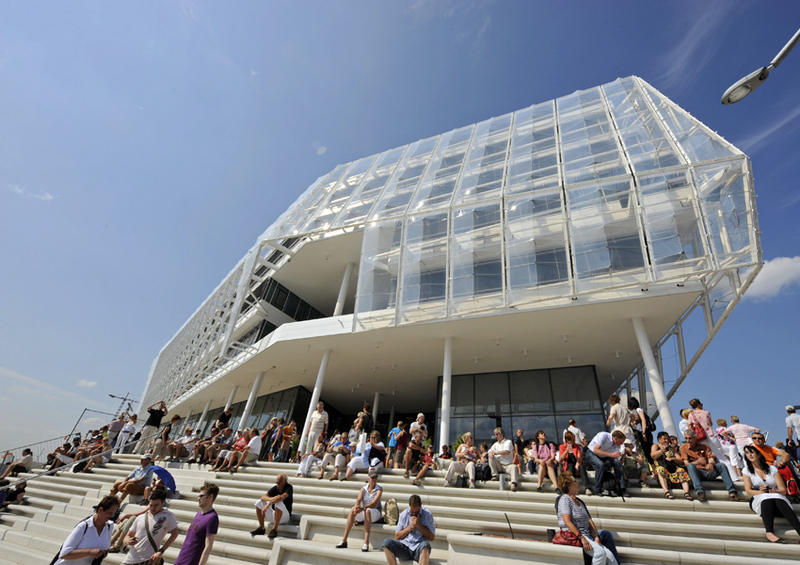 Moreover, the building itself is an example of innovative construction and energy saving technologies: the building stands on a 50 metre long and 26 metre wide concrete pontoon, and the superstructure is based on a modular steel system. As well as being light, this allows parts of the upper structure to be removed for transportation so that the IBA DOCK can pass under low bridges. 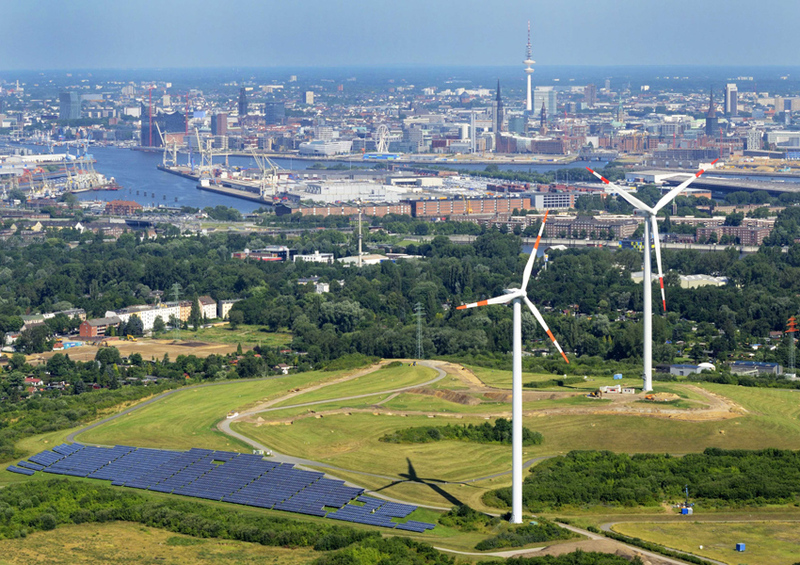 From a contaminated brownfield site to the pinnacle of renewable energies: the disused landfill at Georgswerder will be transformed into a hill of renewable energies as part of the IBA Hamburg. With wind and solar power alone, it will provide electricity for around 4,000 households. In addition, energy will be generated from biogas and landfill gas as well as from groundwater. The exhibition in the information centre on the Energy Hill gives insights into the landfill waste and to the diverse production and use of renewable energy on site. With a spectacular view from the harbour to the inner city, in the future the Hill will be accessible to visiters as a a view point. 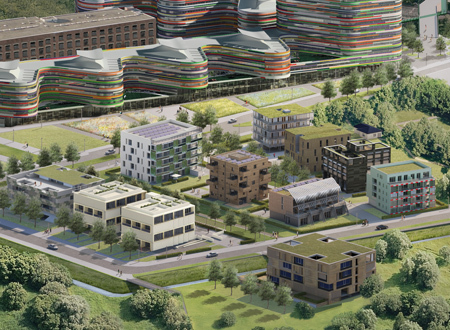 At the centre of the IBA area in Wilhelmsburg, integrated into the park of the 2013 International Garden Show (igs 2013), ground-breaking models for the homes of the future are being built. 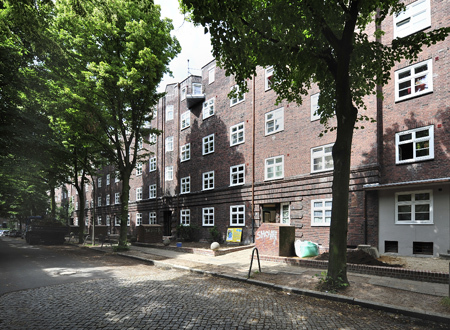 The IBA Hamburg provides solutions to housing in the 21st century in four subject areas. The designs have completely new building and apartment typologies, materials, energy concepts and aesthetic forms. The tendering procedure, with fixed prices for the sites, contributes to feasibility of the project. The best projects are awarded the site and not the highest bidders. The “Smart Material Houses” will illustrate building using innovative construction materials. With the “Smart Price Houses”, the IBA will show solutions for low-cost, inner city building. The IBA will show how the flexible residential life of tomorrow will look with the “Hybrid Houses”. These houses adapt to their residents’ needs. The “WaterHouses” will present concepts for building with water – as a resource and as a risk factor. Private households are responsible for a quarter of Germany’s energy consumption. A lot of energy saving potential can be found in the renovation of older buildings. 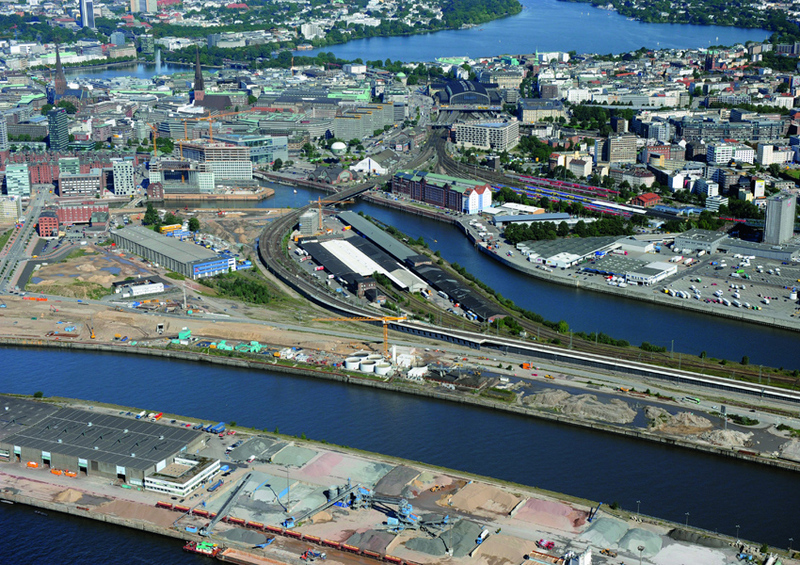 To take advantage of it, the IBA Hamburg launched the campaign “Prima Klima-Anlage” [Top Climate Plan] which includes planning, issuing energy passes, implementation including quality assurance and a three-year monitoring of excellent energetic renovation measures. 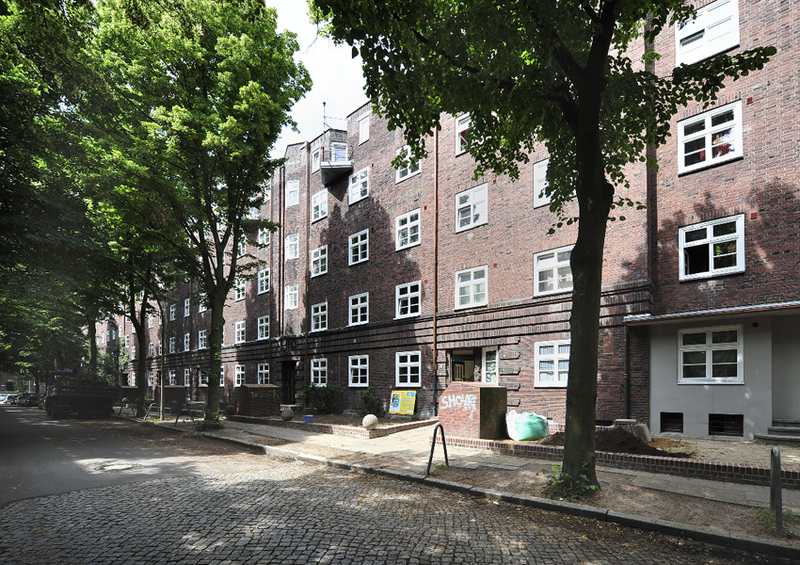 The first buildings to be renovated by their owners as part of the campaign are two residential buildings from 1926. Although the buildings are listed, following the renovation work they achieved an energy standard approaching of new buildings. 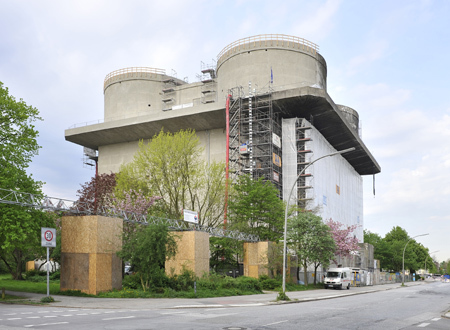 The former flak bunker in Wilhelmsburg is a symbol of the climate protection concept “Renewable Wilhelmsburg”. The monument, which had been disused since the end of World War II, now showcases innovative, intelligently networked technologies. 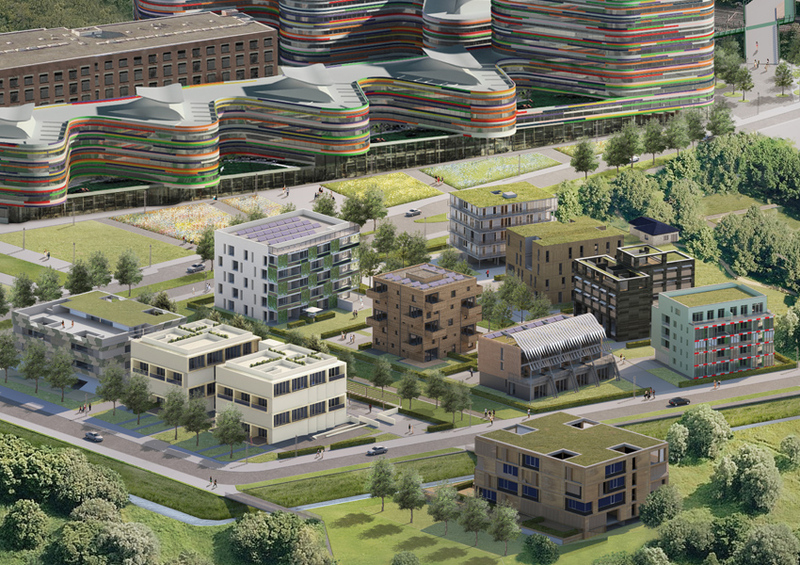 As the technical centre of the local heat distribution network, the bunker boasts a biomass co-generation plant, a water reservoir and a solar-thermal energy plant, and generates hot water and heating for the apartments in the neighbouring Weltquartier [global quarters]. 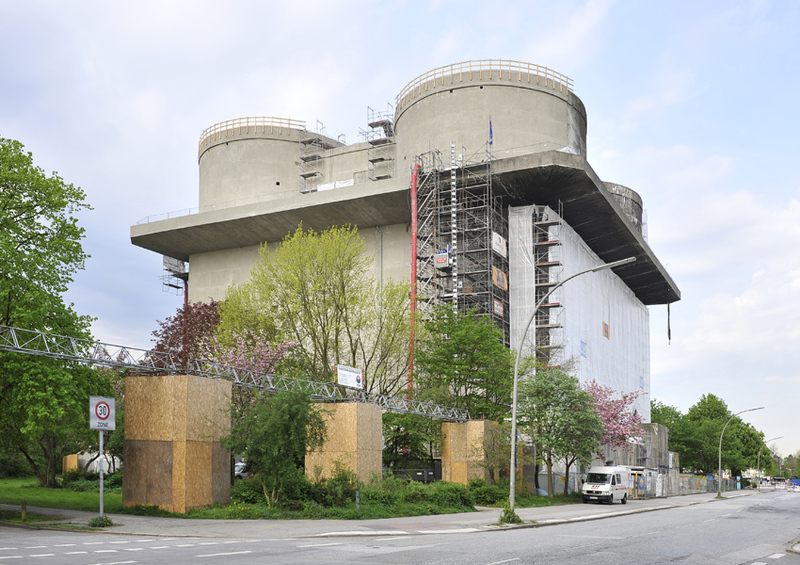 The history of the bunker and the former inhabitants of the Reihersteg neighbourhood are illustrated in a documentation centre in the former flak towers. With a 30m high café, the building provides a unique view over Hamburg, from the harbour to the so called Harburg mountains. 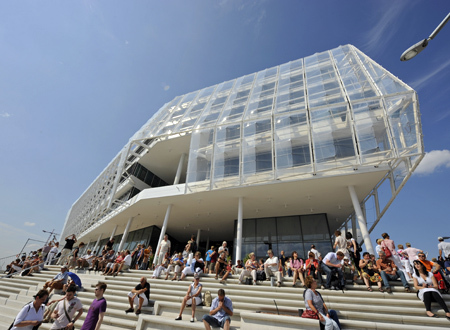 Due to its sustainable, innovative and efficient architecture, the Unilever Building has earned many national and international awards. Designed by Behnisch Architects, the building represents aesthetic and ecological quality, and its freely accessible atrium gives it a very public character. The company headquarters is the largest building worldwide to be completely equipped with energy efficient LEDs. Further sustainable aspects include building component activation for cooling, a heat recovery system on the roof of the atrium, and the extensive use of ecologically optimised building materials. The building has received a HafenCity Gold- Ecolabel for exemplary sustainable construction. 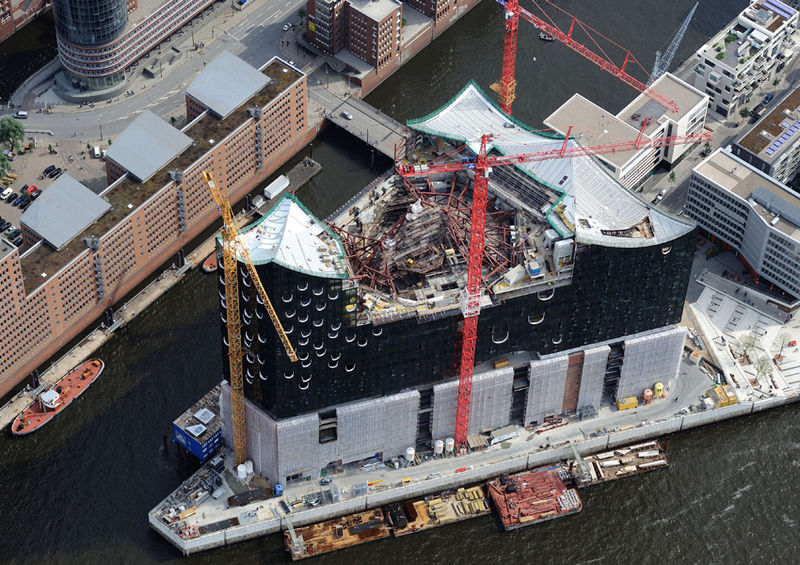 With the Elbphilharmonie, the Swiss architects Herzog & de Meuron have given Hamburg a new cultural and urban landmark. The design for the conversion and extension of the former warehouse has received strong international praise. In addition to its use as a concert hall, the building will offer a mixture of apartments, gastronomy, conference facilities, hotels, publically accessible spaces and a carpark. As part of the tour of the building site, participants will experience the features of the building as well as the construction progress. 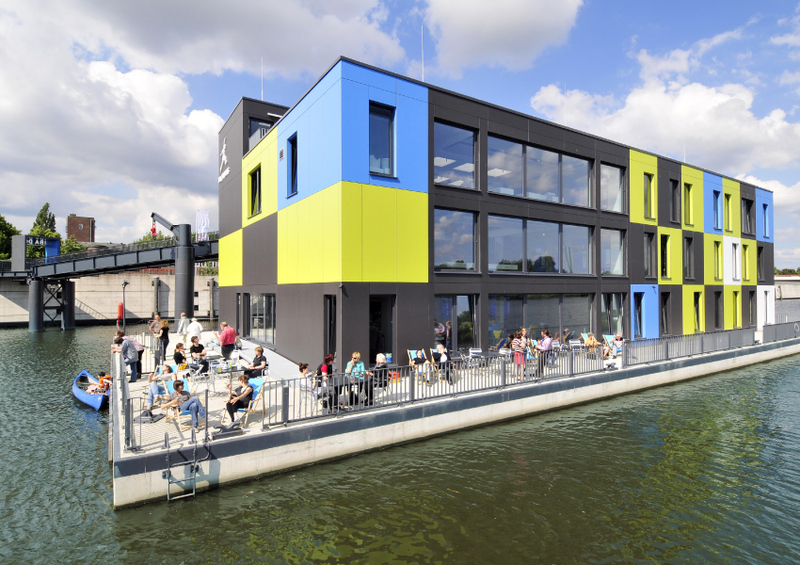 19 Christian churches united under one roof: at the beginning of 2011 the “Brücke – Ökumenisches Forum” [Bridge – Ecumenical Forum] association opened the new building. Altogether 19 Christian churches from Hamburg joined forces to realise this unique joint venture. The publically accessible ground floor of the Forum serves as a meeting place, and a chapel is a peaceful refuge in an otherwise bustling neighbourhood. The members of this ecumenical-spiritual community live here in international and socially mixed shared apartments or housing communities. The roof terrace, which is an example of urban gardening, offers a view across the already developed project area. 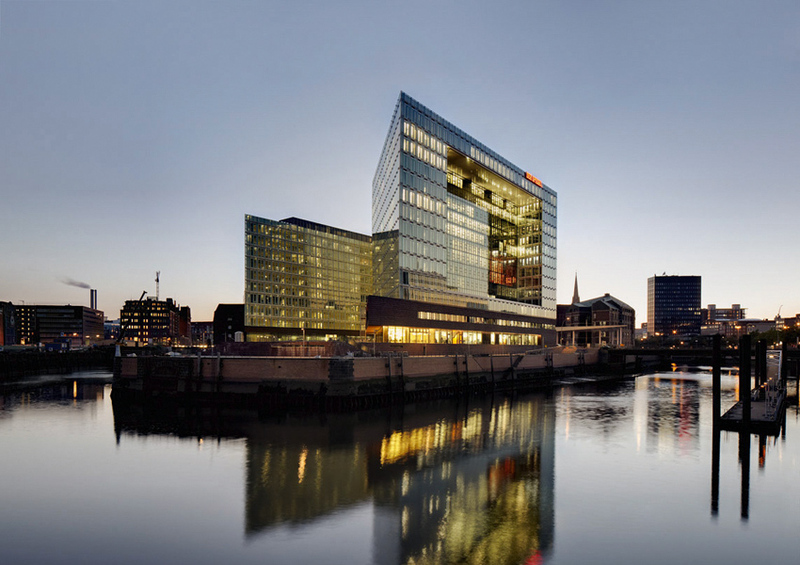 At the northeast entrance to HafenCity the Spiegel Group built their new publishing house, designed by Henning Larsen Architects. 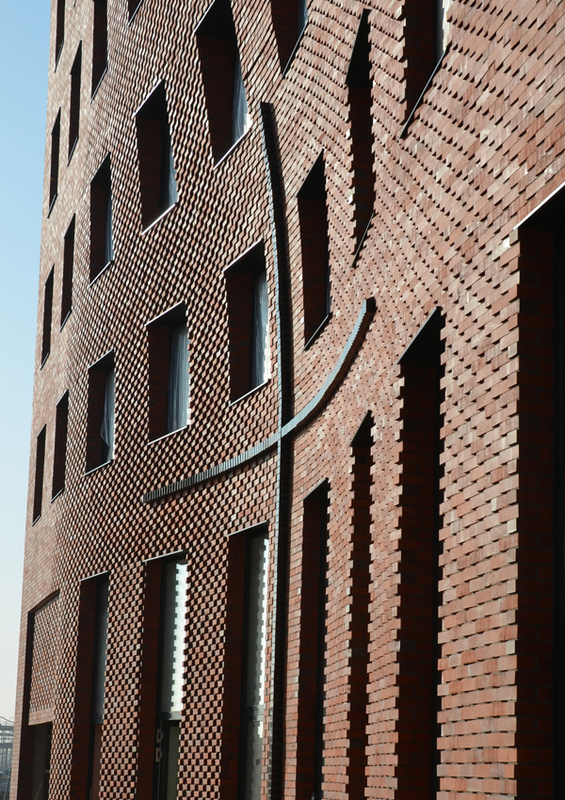 In this architecturally ambitious building special emphasis was placed on meeting high sustainability standards – the building has provisionally been awarded the gold HafenCity Ecolabel. Crucial to the decision were the low overall primary energy requirements with under 100 kilowatt hours per square metre per year and the use of geothermal and photovoltaic systems. In addition, the building’s open character made a positive impression. Überseequartier is shaping up into the future “city” in HafenCity. This urban space, covering about 13.7 hectares, will be home to around 1,000 people and the workplace of up to 7,000 more. While a small-scale mixed use of apartments, offices and small businesses developed in the northern part of the area, the buildings that extend down to the banks of the Elbe in the south contain large office and retail spaces. Throughout the area, retail is integrated into freestanding buildings – there are no plans for a shopping mall – to increase the vitality of the quarter. Conrasting open spaces complement the dense mixture of uses. Today the area still consists of railway properties. Many of the buildings are almost fully occupied and will continue to be used for logistics activities until at least 2014. In the future the quarter will become the nucleus of a creative and cultural centre. 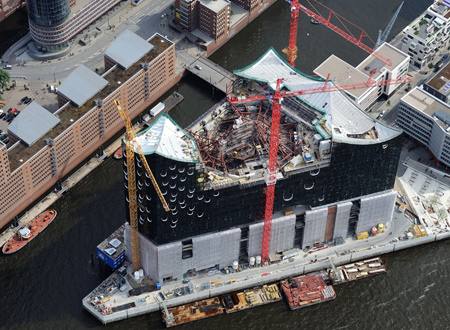 Thereby the ‘normal’ development process in HafenCity will be turned upside down. Instead of a new urban planning idea, a new use for the existing buildings will be the starting point of the development, which will take place through a gradual transformation process. 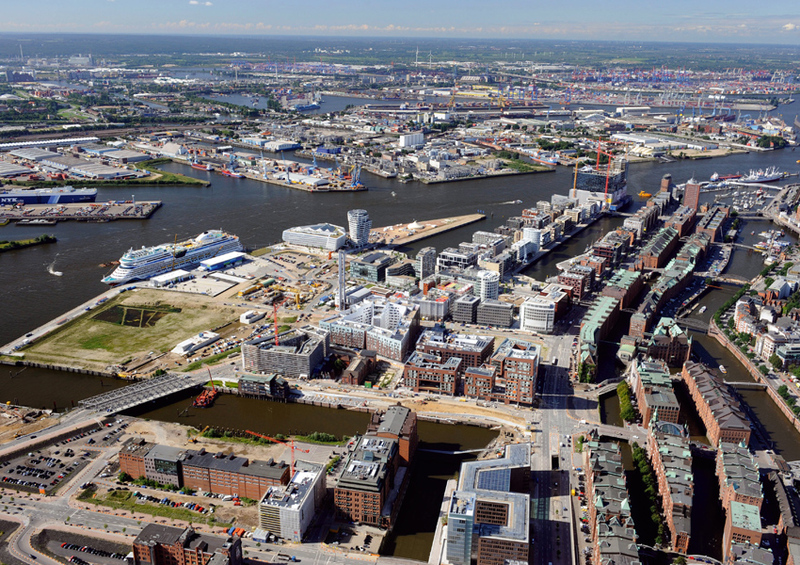 The plots will not be sold, but permanently remain the property of the “Sondervermögens Stadt und Hafen” [Special Assets City and Harbour] in order to shape the development in Hamburg’s interest. 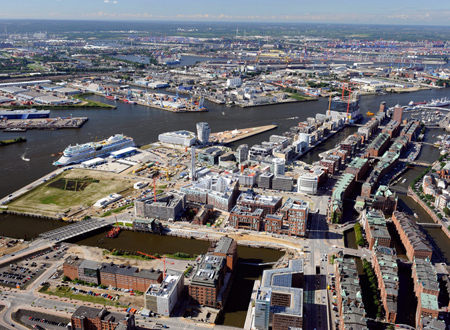 Thereby the potential development options for the area will be worked out as part of an intensive dialogue between HafenCity Hamburg, public authorities, local users, and experts in the fields of arts and science. The school forms an important social hub in HafenCity. The future three-track primary school will guarantee all-day supervision that will be complemented by the care options of the daycare centre with after-school care. Altogether 450 children can be cared for – with flexible plans – right into the evening. 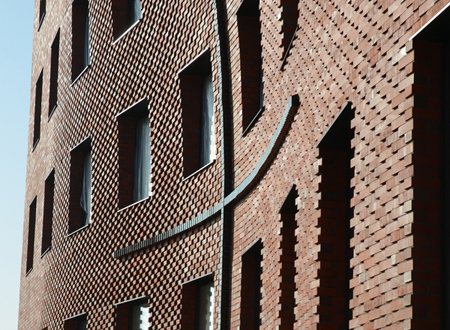 In addition to a sports hall, 30 apartments have been built to the HafenCity Ecolabel gold standard. 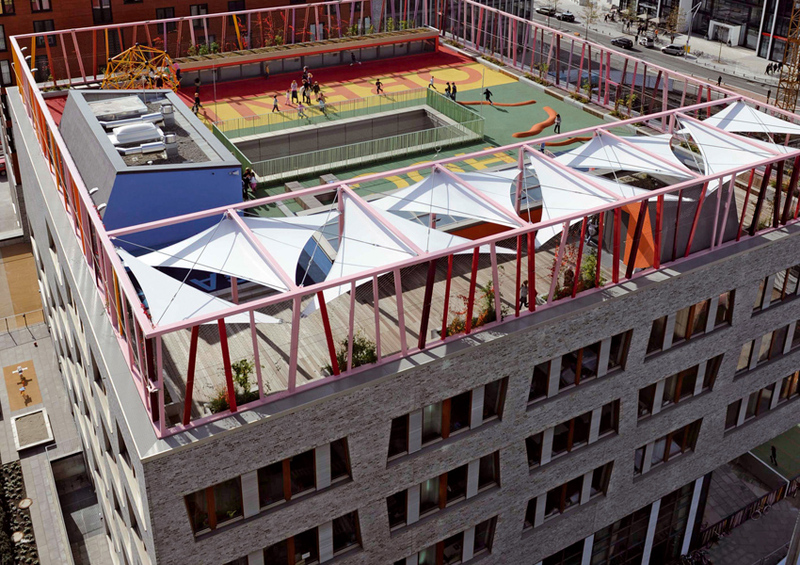 A special feature is the attractively designed rooftop playground.